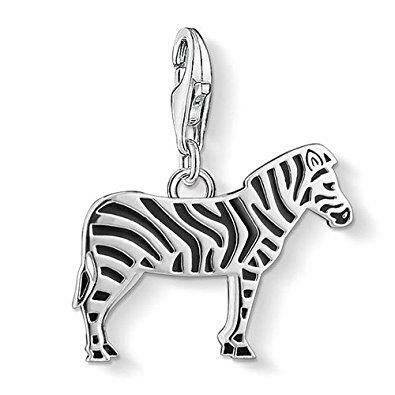 This sweet zebra charm by Thomas Sabo is made from 925 Sterling Silver with black Enamel details. With its iconic black and white striped pattern, the zebra symbolises variety and joy. Wear with any Charm Club bracelet or necklace.